Eight down, still three to go (for now). I’m in full out Robot Hat making mode! 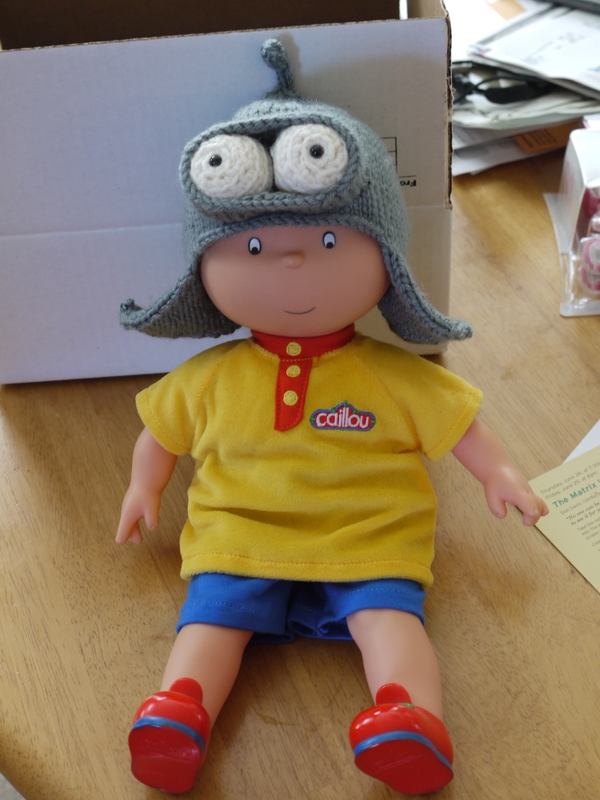 Toddler size, adult size, heck I even knitted a newborn sized one – I was worried it would be too small since it fit Soapfi’s Calliou doll so well, but the people who bought it loved it, so yeah me! 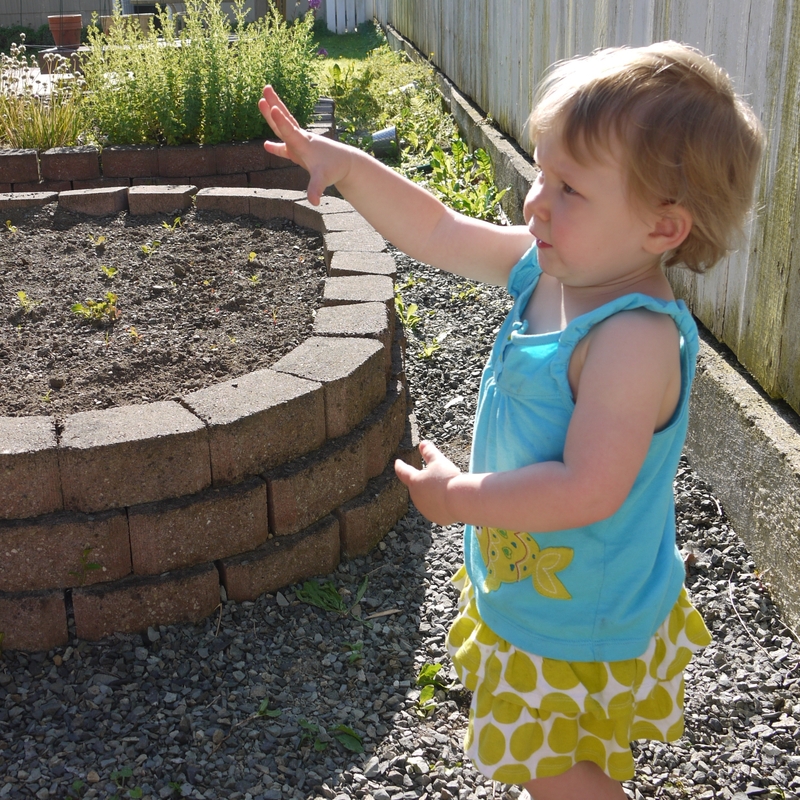 Looking forward to the weekend – Soapfi & I will be helping Gramma with her garage sale, then we’re going up to the Skagit Speedway for “Rolling Thunder Big Rigs, Sportsman Sprint Showdown And Outlaw Hornets“. It will be interesting to see if Soapfi gets into it or finds it too loud and scary. If nothing else we’ll probably manage to at least get a picture of her in big azz headphone/earmuff/hearing protector “thingies”! In the mean time, you know you want one of these sweet adult robot hats! Still crocheting like a mad woman, but feeling much more caught up, only two hats to go, but I have to wait for purchasers to get back to me on what size they want, so at least I have a slight respite – so I’m using the time to make some more progress on my proof of concept World of Warcraft shadow knit Thrall baby blanket (but what I really want to do is try my hand at Entrelac knitting!). But the best part – Soapfi is home!!! And she was happy to see me and gave me some of the best & biggest hugs ever. 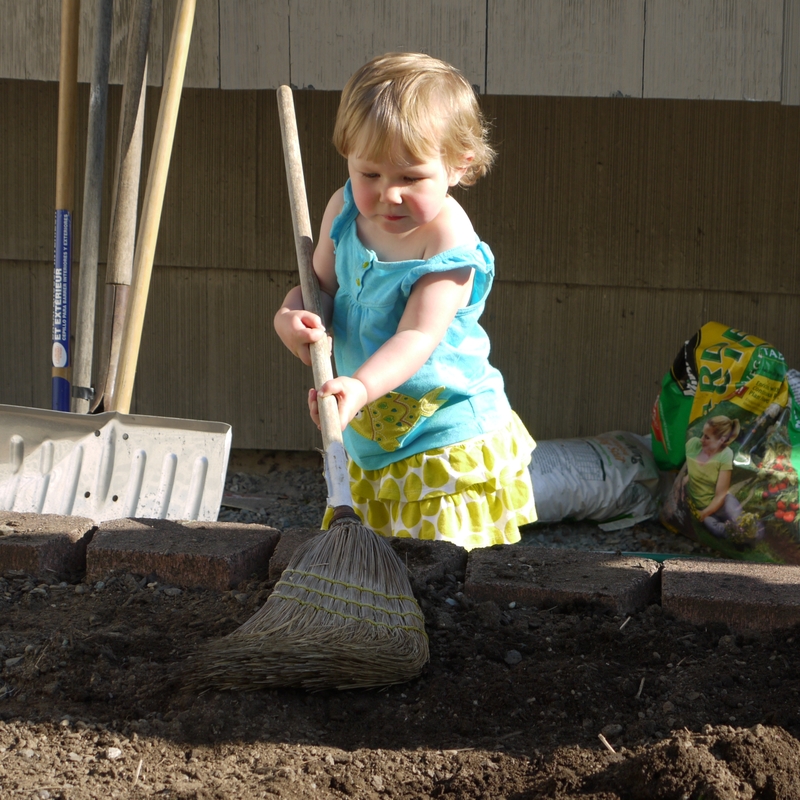 We spent Sunday playing out in the yard where she decided that dirt really needs to be swept, and that brooms make excellent gates. 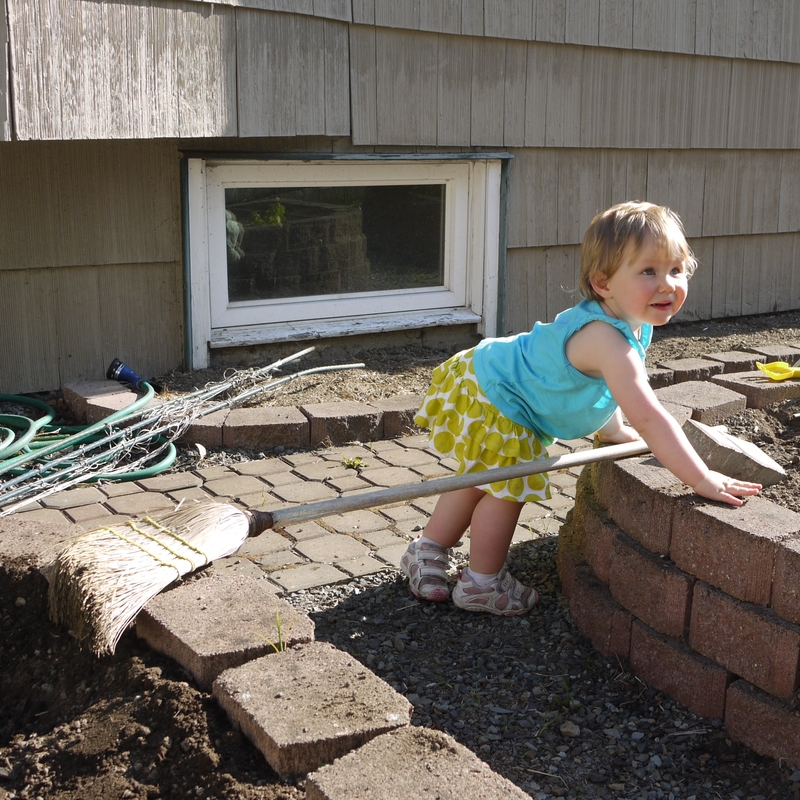 She wanted to play gatekeeper for what seemed like hours, shouting “No Daddy, you stay there” and then changing her mind and demanding he come inside as she lifted up the broom for him. Half a tube of sunscreen later we had spent a wonderful day outside and managed to even do a little weeding and yard maintenance – although Soapfi did think the lawn mower was much too loud and scary – of course I think it was just a ploy to get to ride on Mommy’s shoulders which is her second most favorite thing to do behind OMG SWINGS! It’s wonderful to have them home safe! Lets face it, as much as we like to think otherwise, there is some indoctrination going on with our kids. Sure, we all spout how we want them to be independent little thinkers, taking on the world on their own terms, being their own person, bladdity, blah, blah, blah. But the reality is, there is a strong desire for them to like what we like, do what we do, and think like we think. For us it’s mostly because we envision doing all kinds of fun stuff with Soapfi, but for right now our definition of “fun” is things *WE* like – golf, ice hockey, reading, crochet, knitting, and going to watch the AquaSox play baseball. As she gets older and asserts her opinions and ideas more, I will probably come to love gymnastics, horses, and tae kwon do or whatever else she decides to become passionate about (if it happened with Calliou, it can happen with anything! ), but right now I could care less about them. With everything that has happened, is going on, and will be coming up, I have been knitting and crocheting hats like a crazy woman to help keep myself sane. I’ve got this super nerdy convention coming up in Salt Lake City this June, Nerdtacular, that I’m extremely excited about. I am even going to contributing some of my hats to the Prizeocalypse, as a way to get the word out about my Etsy shop, which is currently just a place holder for my hobby and to facilitate selling stuff to my friends. 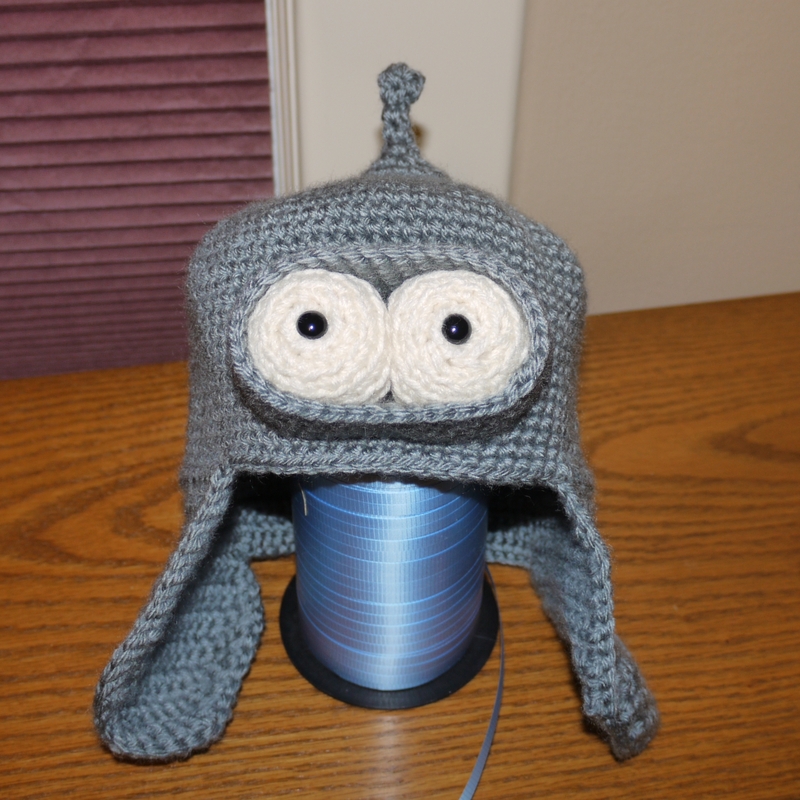 I have set a goal of 10 Jayne Cobb Hats, 5 Bender Hats, and if I ever manage to design them, 5 Zoidberg Hats. 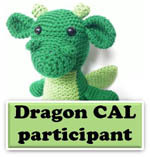 In addition, I have a cross stitch project and crochet afghan project to finish for some friends I will be meeting at the event. It’s so much more fun to be able to hand deliver items than just plopping them in a box and shipping them off. Since I’ve actually managed to sell some hats on Etsy (to friends who saw some of my “look what I did” postings on G+ and specifically requested them) I have contemplated actually ramping up the whole having an Etsy shop thing, making real effort to get the shop going with a few ready to ship hats and listings for customized versions, and put it out there for the general public. 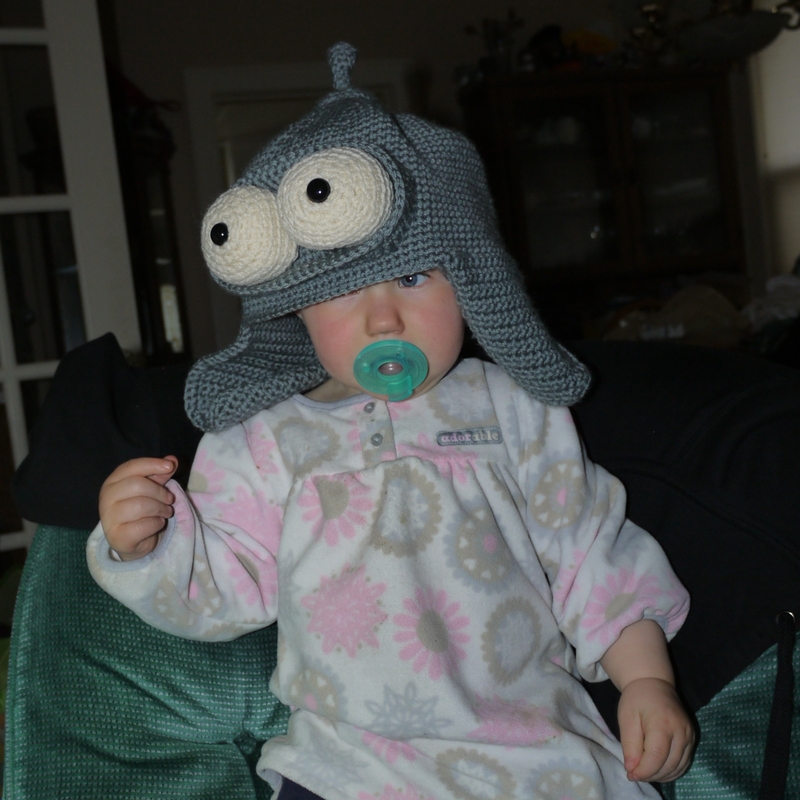 However, I have realized that I am ill equipped for proper hat photography. As cute as Mz Soapfi is, and as much as I’m willing to pimp her out to make me some money, she is a piss poor hat model for me. 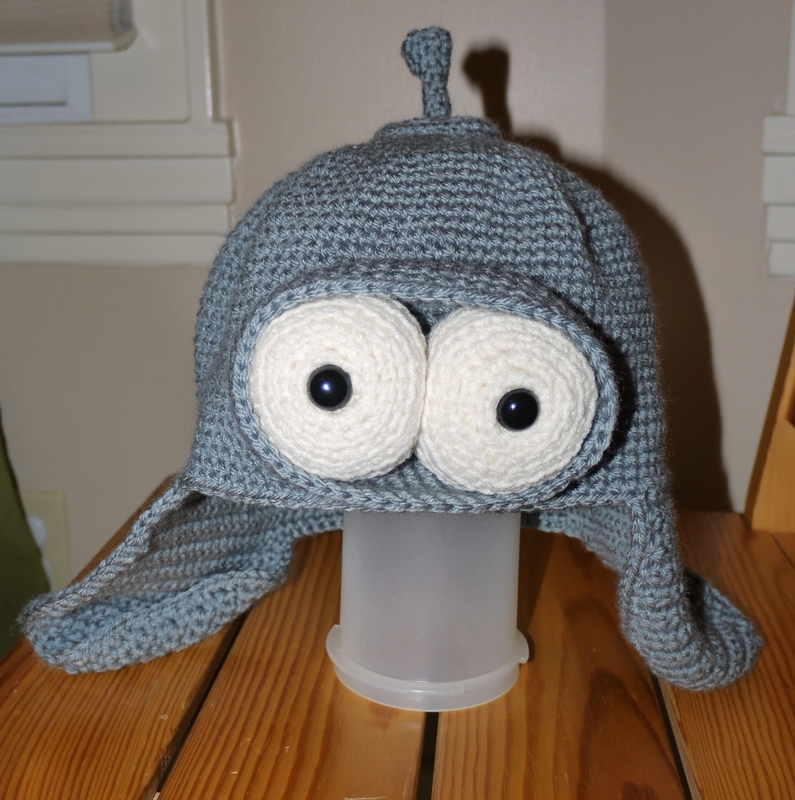 I am usually making hats for adults, so they are too big, as is the case with this Bender inspired Robot Hat (this too could be yours!). 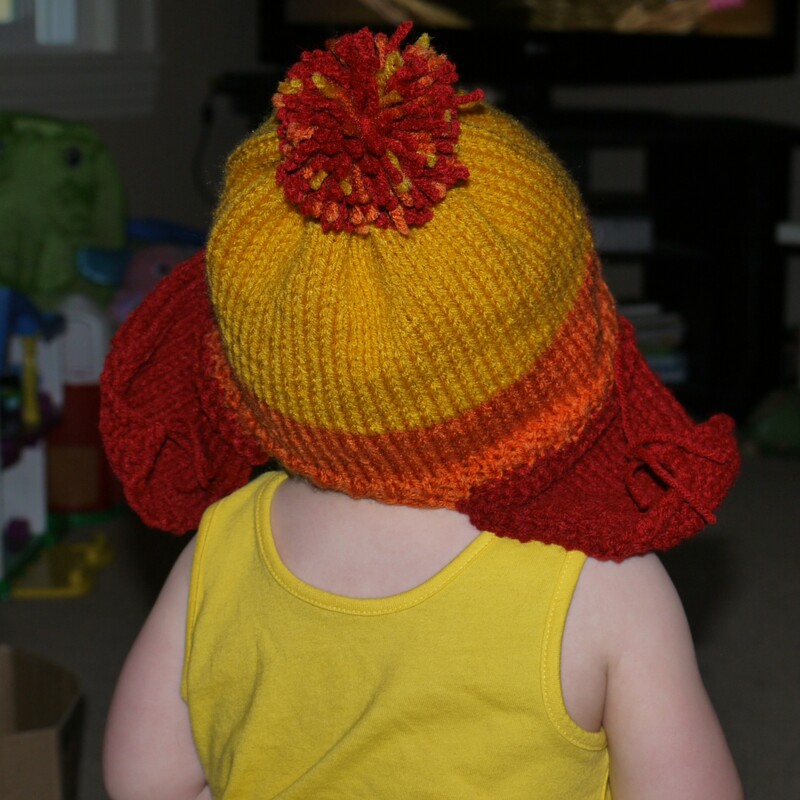 She just doesn’t want to cooperate, as is the case with this toddler sized Jayne Cobb Hat (your sci-fi loving toddler will adore it – and I make adult sizes too!). 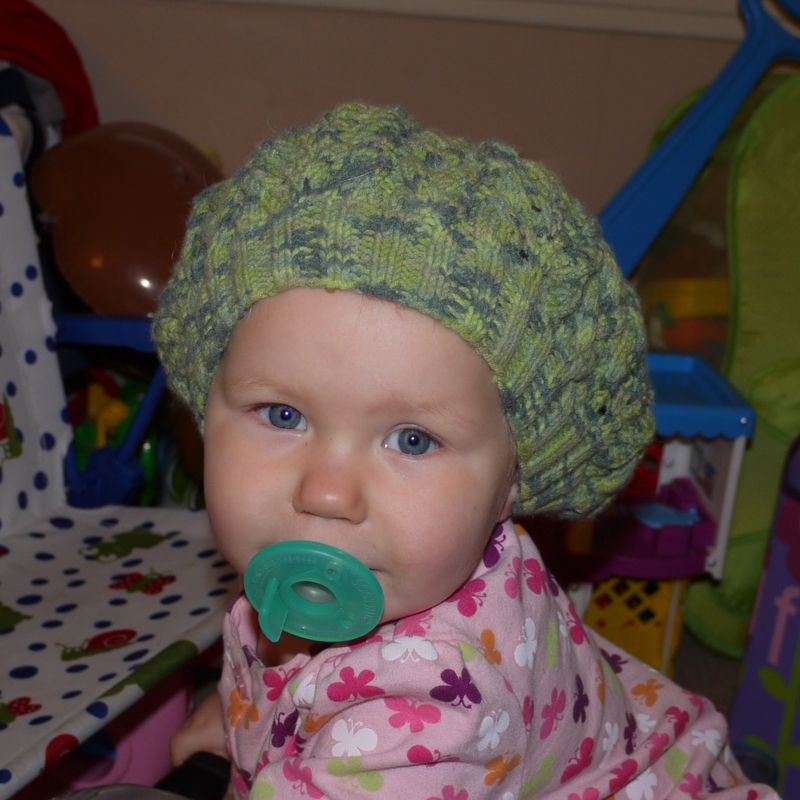 Or because they are made for adults and not her, they just look wrong, as in the case of this beret that sadly looks more like a chemo cap on her. It’s official, I need to invest in a fake head!